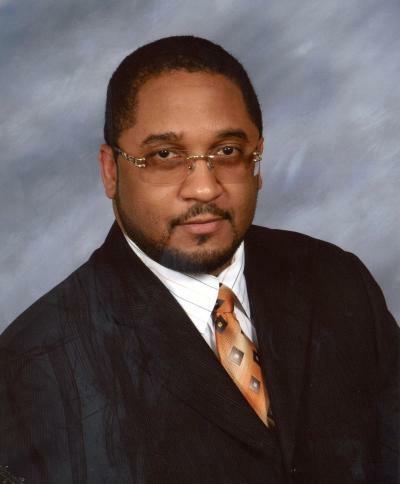 Herbert T. Walker, III is a Licensed Embalmer, Funeral Director, the President and Co-Founder of Walker Funeral Home, and a lifelong Cincinnati resident. He is committed to aiding in the growth and positive development of every community that Walker Funeral Home serves. Herbert’s involvement in the community is extensive. He is a Freemason with Corinthian Lodge #1. Through this affiliation, he has had the opportunity to participate in many service activities – such as filling and delivering food boxes – which serve the underprivileged in the community. He is also a volunteer with the American Red Cross as a licensed CPR Instructor. Herbert is a longtime member of the National Association for the Advancement of Colored People (NAACP), the United Way of Cincinnati, and a supporter and volunteer for the Progressive Senior Citizens Club. Herbert is also a member of several professional organizations including; National Funeral Directors Association, National Funeral Directors and Morticians Association, Inc., Ohio Funeral Directors Association, International Order of the Golden Rule, Academy of Certified Funeral Service Professionals (CFSP), American Homeowner Education & Counselor Training Institute, AHECTI - Certified Homeowner Education & Counselor (CHEC), American Planning Association. Herbert T. Walker, III is a graduate of Wilberforce University and the Cincinnati College of Mortuary Science. In addition, Herbert is a Licensed Embalmer and Funeral Director, Licensed FAA Pilot, and Human Resources Specialist. He also holds a Master of Community Planning and is a graduate of the School of Design at the University of Cincinnati School of Design, Architecture, Art, and Planning. Dr. Walker is a pastor with an all-inclusive ministry, which is to empower the broken, depressed, oppressed, rejected, neglected, and abused. It has resulted in a church that is built around a unique diversity of persons from various age groups, cultures, and various denominational backgrounds who all gather together in celebrative worship. Dr. Walker believes, that the body of Christ should be empowered and awakened to their God-ordained destiny in every area of life. His preaching and teaching focuses on empowering believers spiritually, physically, educationally, culturally, financially, politically, and economically. Dr. Walker is dynamic motivational preacher whose voice can heard preaching in churches, conventions, conferences, revivals, anniversaries, lecturers, in the Midwest and Internationally. Dr. Walker frequently preaches eulogies at Walker Funeral Home of Cincinnati as well as speaking to the community on his radio show “Time 2 Talk” on 1050 AM. He serves as Adjunct Professor in Personal Finance at Cincinnati Christian University. In October of 2006, God blessed Dr. Walker’s life with a “good thing” when he married the formally Kisha. They are proud parents of two children, one son and one daughter.